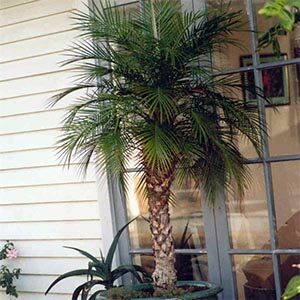 Small palm with thick crown of narrow arching dark green fine fronds. Will grow in shade or full sun. Excellent on patios, mass planted or as specimens. Best in sun or semi shade in well drained areas. Protect from heavy frost. 1.2 metres in 10 years.